Fantastic First Grade Froggies is on Instagram! I have had a personal account, but have made one for teacher stuff. 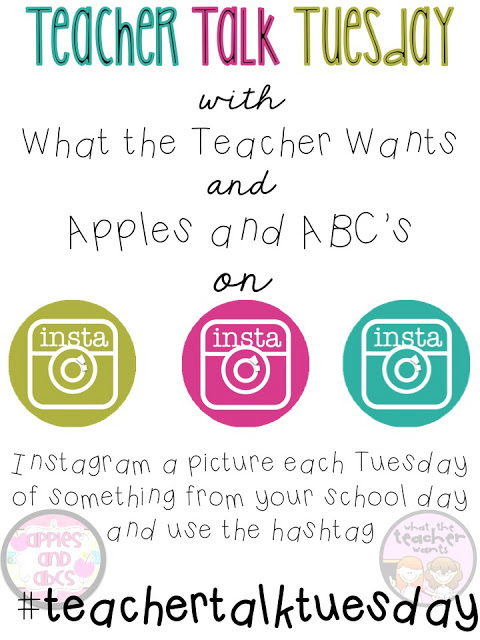 I am linking up with What the Teacher Wants and Apples and ABC’s. You can find me at Fantasticfroggies (I shortened it a bit). I will work on adding pictures today, but join tomorrow for #teachertalktuesday. See you tomorrow on Instagram, sounds like fun!